The beach at Abarca Cove is very popular and is the most central. At the southerly end of this enclosed bay lies Cerro Recreo where “la Iglesia y el Covento de los Capuchinos” sits on a cliff top; Hotel Miramar is located to the north and behind the bay there are many beautiful buildings located on Cerro Castillo. There are some nice parks nearby. This was the only beach on the bay in use at the start of the century and was where Dr Von Schroeders founded his therapeutic baths (Baños el Doctor Von Schroeders). 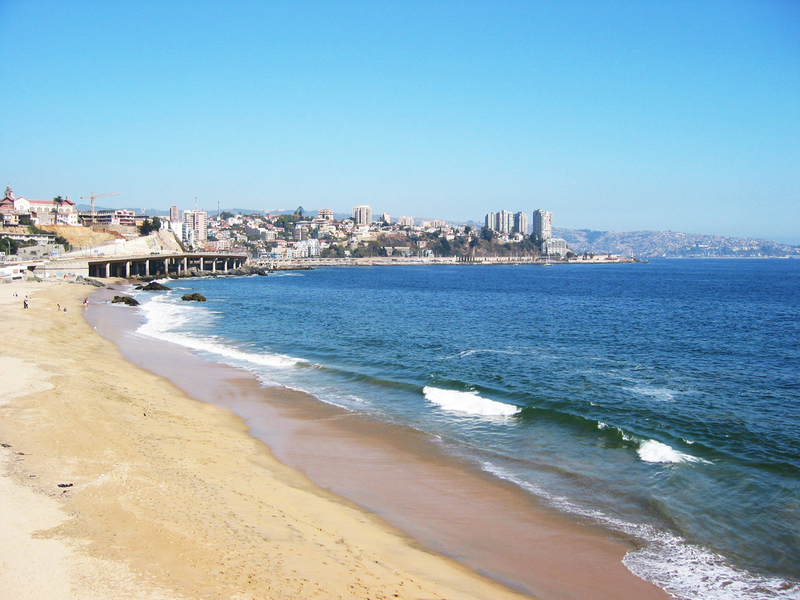 The beach has been being eroded away by the ocean since 1935 when the construction of a breakwater in Valparaiso changed the direction of the currents. This beach is located at the mouth of the Marga-Marga Estuary. This beach is located on the corner of Avenida San Martín and 8 Norte. This beach is located on Avenida San Martín between 11 and 14 Norte. This beach is located on the corner of Avenida Jorge Montt and 15 Norte. This beach is located on Avenida Jorge Montt. This beach is located on Avenida Jorge Montt, by Las Salinas Country Club (Club de Campo Las Salinas). This beach is located on Avenida Borgoño, by Jardín del Mar. This beach is located on Avenida Borgoño, in front of Long Beach Restaurant. This beach is located on Avenida Borgoña.